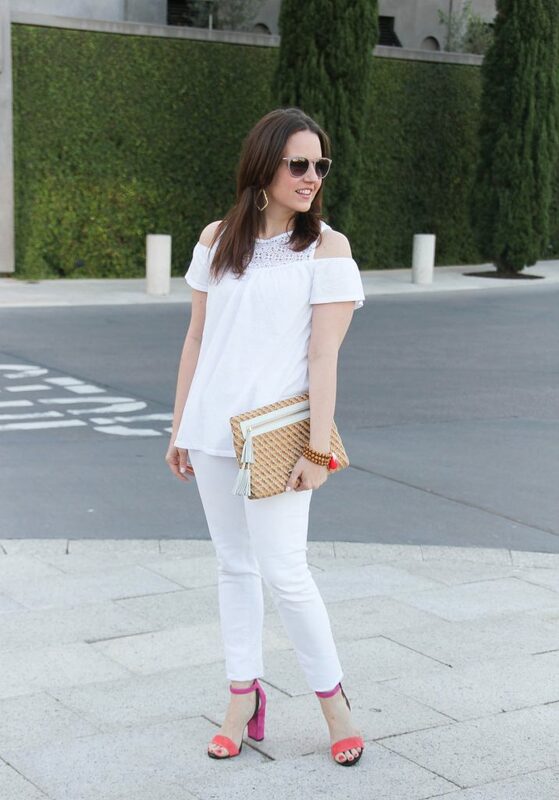 I just adore a white on white outfit for Spring. It’s just something so fresh and clean about the look. I will be honest though, this is more of an every now and again look for me for fear of all the potential stains. 🙂 Although, I do get a little braver every time I survive without incident. When I wear monochromatic or neutral outfits, I love adding in fun pops of color like these heels. I found them while on the hunt for a fun block heel sandal for the summer. According to friends, the block heel is way more comfortable than a stiletto. I think it will work better for walking on grass or other uneven terrains too. I originally considered these pink ones, but I liked the two tone coral and pink in this pair. It was different and fun, perfect for a punch of bright color. I have only worn them once to dinner, but they were comfy. I do think if you have a wider foot, the coral strap may be a bit snug on you. Enjoy your weekend! Thanks so much for stopping by! White on white is so classic! I love it too! I still haven’t tried a block-heeled sandal but you’re right, they would probably be a lot more comfortable to wear throughout the day! 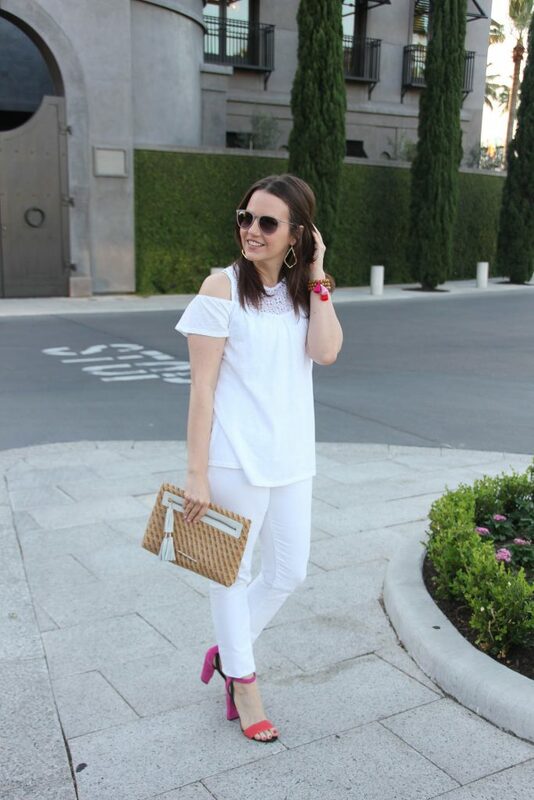 White-on-white is such a fun spring-time look! I LOVE those block heels of yours…the different shades of pink just looks so amazing together. Thanks for linking ups with us! Love that pop of color with your heels! 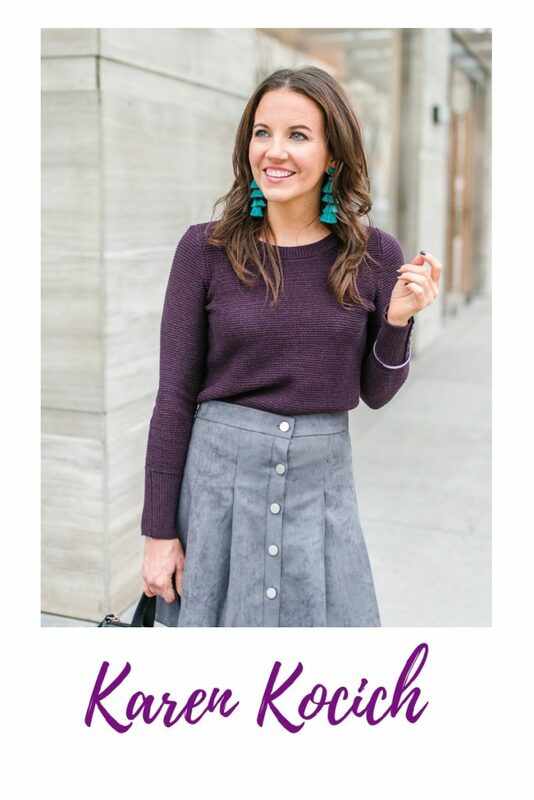 Super cute look girl! The orange and pink together look has always been one of my favorites! 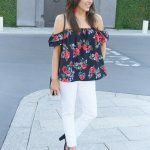 Thanks for linking up with Jennie and I for Fabulous Friday! Those shoes!! OMG – they’re the cutest pair. Such a chic way to add color and break up the all-white outfit! 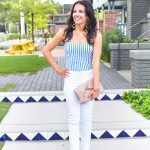 I am always nervous to wear white on white, but I love the clean look too. And the pop of pink is fabulous! Love the pop of color with your shoes! Great clutch! !